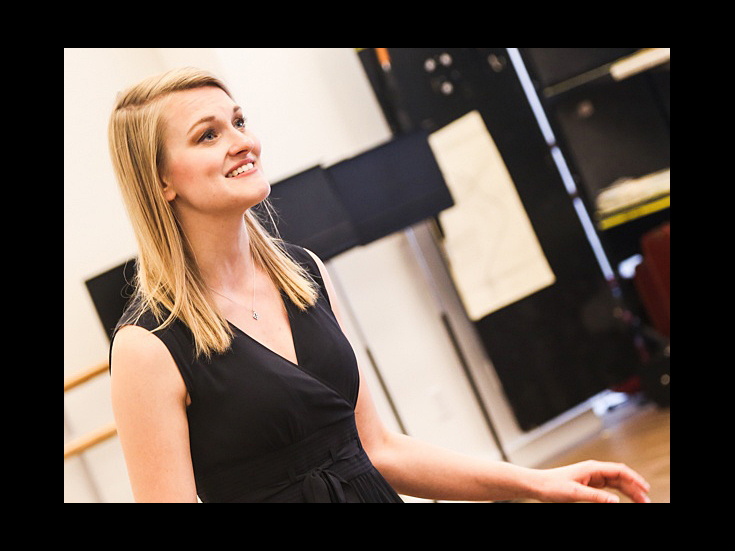 The hills were alive with the sound of merriment when five-time Tony-winning director Jack O'Brien cast Pace University junior Kerstin Anderson as Maria Rainer in the new national tour of The Sound of Music. It's no easy task inhabiting a role previously played by legends like Julie Andrews and Mary Martin, but Anderson is more than ready to put an original spin on the classic Rodgers + Hammerstein songs. Anderson told Broadway.com that being cast as Maria was "the most incredible thing that has ever happened" to her. "I was out to dinner with my manager and I couldn't eat a single thing," she said. "I packed up my entire dinner for another day. So many things were going through my head, like getting to work with Jack O'Brien and starring in this show, which is one of my favorite things!" O'Brien's fresh take on the musical has helped Anderson not feel pressured to recreate Andrews and Martin's performances. "I'm 20, so that makes me younger than they were when they played this role and that's where all the change starts," she said. "She's from the mountains and playful and a little bit of a tomboy, which is different from the elegance of Julie Andrews and Mary Martin." Anderson also loves what O'Brien has done with, arguably, The Sound of Music's most famous song, "My Favorite Things." "It's so much fun and so exuberant, and doing it with Ashley Brown (Mother Abbess) is a dream," she said. "It's completely surreal. It's amazing because it's what I've been working for and it's cool to know that I can totally do it. It's a gift."